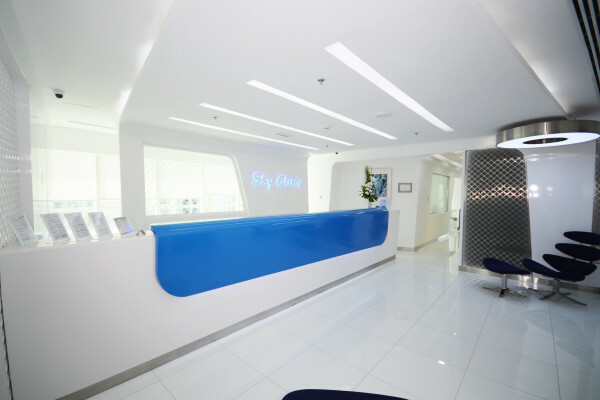 We at the Sky Clinic Dental Center JLT aim to provide a well informed dental service encompassing professionalism, the latest technology, highest regard for patient comfort and utilizing the best techniques and resources to deliver a state-of-the-art dental experience. All our dental treatment plans begin with a full assessment of the patient’s general and oral health to ensure every course of action provides the most beneficial path to recovery and smile enhancement. We always include, you as the patient in the planning process to ensure that your expectations and concerns are first addressed before any treatment begins. Your dentist will always make sure you that you are apart of the plan to enhance your smile and help maintain your teeth for a life time. We are looking forward to serving you from our newly opened Jumeirah Lake Towers branch. Good Oral Health Regime in Dubai keeps your teeth and gums healthy, whilst helping you to maintain fresh breath throughout the day. Although home care does play an important role in keeping your teeth clean, preventive dentistry further improves your chances to avoid serious dental disease that may not be defeated with a toothbrush and dental floss. Preventive dentistry aims to extend the lifespan of your natural teeth, removing hidden cavies, polishing teeth to a great shine, and protecting it from premature erosion or decay. Rejuvenating your smile perfectly, Aesthetic Dentistry provides you with various options to improve your smile even if you are not experiencing tooth decay or cavities. Aesthetic dentistry, a type of dental artistry means your cosmetic dentist is able to use various techniques and resources to redesign your smile to perfection. Aesthetic Dentistry provides a means for those with badly shaped teeth to obtain a dental makeover to drastically change the way your smile thus improving your confidence as well. Pediatric dentistry is the specialty of dentistry that focuses on the oral health of young people. Studies show that children with poor oral health have decreased school performance, poor social relationships and less success later in life. Children experiencing pain from decayed teeth are distracted and unable to concentrate on schoolwork. A pediatric dentist focuses on prevention, early detection and treatment of dental and oral diseases, and keeps current on the latest advances in dentistry for children. What we once thought was irreversible damage to our teeth, jaws, and gums are now easily fixed by Dubai Dental Surgeons. New technology, plenty of research and the numerous advances made to medicine means you do not have to live with a rotting tooth anymore, nor do you have to exist with a bad smile, held back a shortage of bone or a deep rooted problem. Dental Surgeons are now well trained and highly skilled dentists who can perform almost any type of dental surgery whether its compulsory or cosmetic. Dental surgery is used to improve your image, lift your confidence, or eliminate the threat of infection and disease. Dental surgeons are also called cosmetic surgeons, oral surgeons, implantologists who are specialized surgeons or maxillofacial surgeon. Implantology is the process in which fallen and broken teeth are replaced entirely from root to tip by metal implants, functioning in the same light and strength as natural teeth. Implantology is the specialized branch of dentistry focused on functional and aesthetic improvement. Dental implants offer a permanent and more stable solution to teeth loss. Many of us actually experience mild forms of periodontal disease without actually knowing it. Mild bleeding while you brush is caused by weakened or infected gums that need treatment. Periodontal disease is easily noticed by the symptoms of inflammation, redness and swelling. The first mild form of periodontal disease is gingivitis affective the outer sections of the gums with Periodontitis being the more severe and advanced stage of the same. Periodontitis affects the inner gums resulting in painful roots and possible tooth loss if left untreated. Endodontics is the part of dentistry that focuses on inner pulp health of each tooth. Every tooth has a supply of nutrients and oxygen which arrives in the centre. The pulp cavity can at times become infected causing severe pain, disrupting normal function of your teeth. As significant advances are made in the field of dentistry, patients now have a wide range of options to restore their smile naturally. Prosthodontics is the area of aesthetic dentistry that utilizes special materials to mimic the top visible section of fallen teeth. Tooth replacements in Dubai come in all shapes and sizes, and with many studies being conducted and research being done, prosthetic teeth are now modern fad than a necessary procedure. Orthodontics refers to the branch of dentistry in which specializing dentists take care of teeth and arch positioning. Teeth crowding, crooked teeth, badly angled arches that do not meet for a perfect bite, are problems that orthodontists help treat. Teeth that are not aligned pose functional problems and is also aesthetically not pleasing. Orthodontic dentists use various types of aligning devices such as braces to correct the problem at hand. Braces are of many types and aim to counteract specific trouble that you may be experiencing with your smile. Temporomandibular Joint (TMJ) is the name given the joint where the two jaws meet. A disorder of this joint is called TMD (Temporomandibular Joint Disorder) characterized by pain and discomfort in the region. The TMJ is similar to other joints comprising of bone, muscles, nerves, and blood vessels. The Temporomandibular Joint connects the mandible (lower jaw) to the temporal bone (upper jaw) in front of the ears on either side. Great customer service from the front desk to the medical staff. Everyone smiles and seems to be happy, I think it all stems from the top. What a pleasant experience. The doctor and staff are professional and make you feel very relaxed and comfortable. Highly recommended.